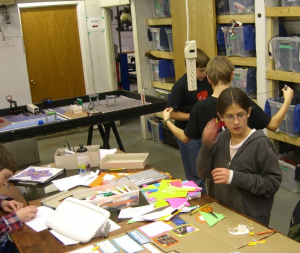 Last fall Sector67 agreed to host a FIRST LEGO League robotics team. Team Splatacrash consisted of eight intrepid O’Keeffe Middle School students with a penchant for mechanical design and programming. Sector67 director Chris Meyer provided the team with an inspiring location that included space for team meetings, LEGO robot design, construction, and programming as well as project research and prototype development. As a bonus, the team members received insightful engineering advice from Chris and other Sector67 members throughout the fast and furious 12 week competition season. During that time, team Splatacrash designed and built a compact LEGO robot complete with motors, sensors, and a microcontroller that they programmed to guide the robot as it journeyed out onto an obstacle-filled 4’ x 8’ field to perform a series of missions. The goal was to accomplish as many of the pre-defined object manipulation missions as possible in two and half minutes. The robots had to maneuver around a field filled with LEGO objects and structures, earning points by collecting and bringing objects back to base, triggering LEGO devices while avoiding obstacles.  Team Splatacrash develops presentation materials at Sector67. The LEGO robotics field is visible in the background. In addition to the LEGO robotics portion, the team was tasked with a significant research project. This year’s theme “Food Factor” required the team to investigate food safety issues, select a food contamination problem to focus on and then to devise an innovative solution to address the problem. After several scientific experiments, interviews with local experts and a school-wide survey the team determined that the lack of hand washing before the school lunch period was a significant source of food contamination. Their innovative solution? The Germs-B-Gone! The prototype device developed at Sector67 is designed to be wall-mounted at the entrances of school cafeterias, providing a simple and quick way for students to sanitize their hands before eating lunch. 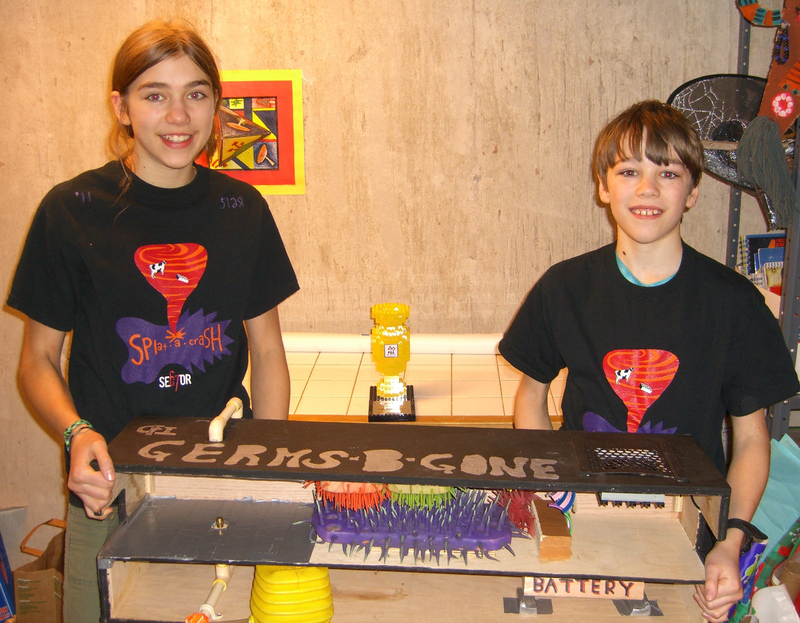 Their work on this project earned Splatacrash the Research Award at the Wisconsin State Championship in mid-December. FIRST LEGO League is an international robotics program designed to encourage interest in science and technology for kids ages 9 to 14. 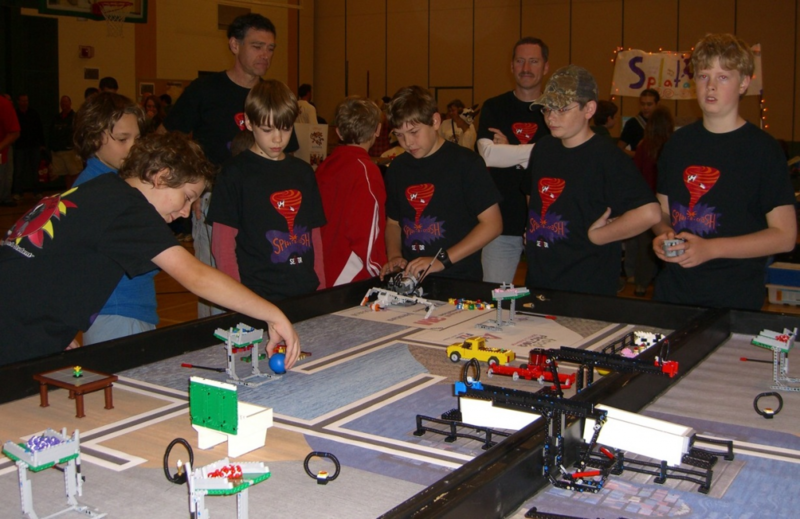 Teams compete in tournaments which include a robot competition, a research project presentation and judging of the team’s technical knowledge, robot design and teamwork skills. The Madison program and regional tournament is run by BadgerB.O.T.S. out of Memorial High School. Team Splatacrash tests their robot in the “pits” at the WI state FLL Championship. Hello: did you guys go to State with Food Factor? At my school we have four teams and we just finished regional and two of the teams are going this year. First time we go and we are looking for advice, information, etc. Plus, are there any additional requirements for state fll?